On a brisk fall day, physical education teacher, Hugh, was inside with his Grade 10 class playing volleyball. The students were enjoying rallying the ball when, “a student caught his head on the net and fell, landing on the back of his head,” recalls Hugh. 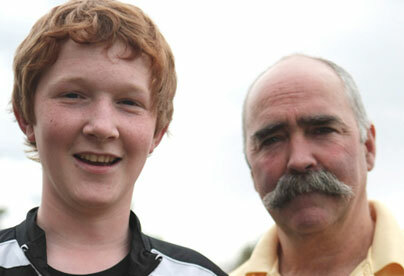 Fifteen year old athlete Ryan, “was blue in the face and I knew I had to resuscitate him. The students called the ambulance which was about 20 minutes away from our school,” remembers Hugh. As the entire Grade 10 physical education class watched, Hugh started artificial respiration and continued until Ryan regained consciousness. He spent a few hours in hospital and was sent home with a concussion. The Grade 10 class had not yet taken the Program, but since the incident, “the students are so anxious to learn it,” says their teacher. And Ryan is especially glad. “I think learning CPR is important because you don’t know when something is going to happen. I’m so thankful Hugh was there and knew what do,” says Ryan, who was back at school the next Monday and continues to play volleyball. The ACT Foundation and the Government of Alberta set up the High School CPR Program in Hugh’s school in 2002 with support from the STARS Foundation. The Advanced Coronary Treatment (ACT) Foundation is an award-winning, national charitable organization dedicated to establishing CPR in high schools across Canada. ACT raises funds to donate mannequins and teacher training to schools, and guides schools in program set-up and long-term sustainability. Over 1.8 million youth across Canada have been trained in CPR by their teachers through this lifesaving program to date. ACT’s health partners supporting the program in New Norway, in Alberta and throughout Canada are AstraZeneca Canada, Bristol-Myers Squibb Canada, Pfizer Canada and sanofi-aventis. They provide ACT’s sustaining funding and are committed to the Foundation’s national goal of promoting health and empowering Canadians to save lives.